“I suffer with (PCOS) Polycystic Ovary Syndrome and was told by doctors it would be very hard to conceive and I probably would need IVF. I decided to use homeopathy to see would this help me. I started on my remedy in conjunction with mild fertility treatment. This remedy helped stimulate my ovaries and also helped with the side effects I was experiencing from the fertility drugs. After a couple of months I got pregnant and I am due my baby any day. I firmly believe homeopathy played a huge part in finally getting pregnant. Overall it helped release negative thoughts and stress I had during this process. In the end I didn’t need IVF! A woman’s reproductive health is an integral part of her being, and while the physical implications of Polycystic Ovarian Syndrome (PCOS) are challenging, the emotional distress of this condition is just as big an issue. The diagnosis can create huge stress, anxiety, affect self-esteem and confidence and be quite a daunting journey in a search for a solution. Many women rely on conventional medicine to treat their PCOS, but in some cases the side effects may be too harsh to endure so they seek a less invasive therapy such as Homeopathy. Polycystic Ovarian Syndrome, also known as PCOS or Stein-Leventhal Syndrome, is a hormonal endocrine disorder common in women. In most cases the ovaries appear enlarged and contain numerous fluid filled sacs or cysts that grow on one or both ovaries. Affecting those in their reproductive years, it is usually identified by more prevalent symptoms such as irregular menstrual cycles, no menstrual periods (amenorrhea), periods now and then (oligomenorrhea), heavy periods, bleeding but no ovulation (anovulatory periods), excess hair growth on the face and body (hirsutism), acne or oily skin, obesity, and infertility. Other symptoms include difficulty gaining weight, darkened patches of skin, skin tags, thinning hair, insulin resistance, Type 2 Diabetes, high cholesterol, high blood pressure, pelvic pain, depression, anxiety, sleep apnea, low libido and an increase in stress levels. Some women do not have cysts on their ovaries but other symptoms such as absence of ovulation or high levels of androgens where no other condition is known, may lead to a diagnosis of PCOS. Conventionally, menstrual symptoms have been treated with a low dose birth control pill. Alternatively taking progesterone ten to fourteen days a month is another choice. If you are trying to get pregnant Clomiphene Citrate may be used, sometimes combined with Metformin. Spironolactone or birth control pills are often used to reduce excess hair growth. In some cases, a surgery called laparoscopic ovarian drilling is considered. Other avenues include fertility treatments, or surgeries; Oophorectomy, Hysterectomy, or a cyst aspiration. So how can homeopathy help you if have been diagnosed with PCOS? In homeopathy every woman with symptoms of PCOS presents differently and so too will each woman’s treatment plan. Whether it is help with regulating periods, infertility, seeking relief from the side effects of prescribed medications, or dealing with the emotional turmoil of being diagnosed with PCOS, homeopathy can help restore health on both the physical and emotional levels. In homeopathic treatment we take a holistic approach to health and treat the person rather than the diagnosis alone. There is not “one” specific remedy designed for the treatment of PCOS. Instead each prescription and treatment plan is unique and designed according to the individual’s needs. Homeopathic treatment is safe, non addictive, has no side effects and can be taken alongside conventional medicine. Combining a homeopathy routine, with good lifestyle choices, diet and exercise can be most effective in helping women with PCOS. Women suffering from Polycystic Ovary Syndrome (PCOS), and fitting the mental picture of the homoeopathic remedy Pulsatilla, were given Pulsatilla 6C*, 4 hourly throughout the day for 2 weeks after the end of menstruation, and this was repeated for 4 consecutive cycles. At the end of the trial 30 of the 36 women had complete disappearance of the symptoms of PCOS and the production of normal ovulating follicles and a further 4 of the 36 became asymptomatic. 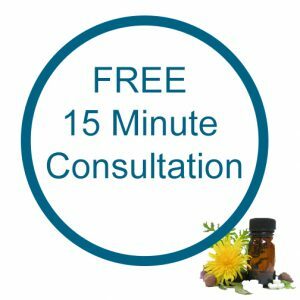 If you have PCOS and would like to find out if Homeopathy could help you why not book a Free 15 Minute Consultation, email me at eileen@homeopathy-healing.com or call 086 0891037 (International: +353 86 089 1037). The American College of Obstetricians and Gynecologists (ACOG) is the nation’s leading group of professionals providing health care to women.